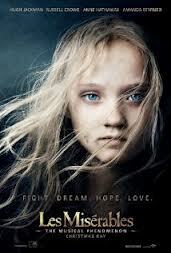 Les Miserables – a masterpiece, but don’t forget the tissues! Ah, Les Miserables – I should have known that with Cameron Mackintosh producing and Tom Hooper directing, you couldn’t disappoint. But having such a strong passion for the musical version, I was fearful the movie wouldn’t live up to expectations. Reading the history of the film’s development, it’s clear the road to final completion has been long and challenging with many changes in the production team along the way. Alan Parker was first named as the film’s director way back in 1988… and then there was a period where development stopped altogether. But after attending Melbourne’s premiere of the film on Friday night, I’m delighted to say the wait has been worthwhile. Based on Victor Hugo’s French novel from 1862, the epic screen adaptation is a triumph. While the story of Les Miserables is already a proven winner, (the stage show having been seen by an estimated 60 million people world-wide) it’s effect on the audience weighs heavily on the actors ability to impart the emotional authenticity of their experience. And this is where the film’s success lies – in brilliant casting and performances. Hugh Jackman has long been recognised as a strong performer, but this truly IS his moment. 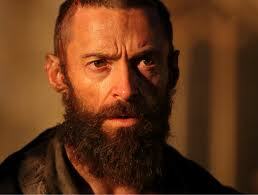 As Jean Valjean, he conveys emotional depth and pain with a power and intensity that resonates immediately and continues throughout the length of the film. I don’t think I’ve gone through so many tissues in one film for quite some time. While I’m a huge Daniel Day-Lewis fan, it’s disappointing to hear that many believe Jackman will be robbed of an Oscar opportunity with Day-Lewis already being lauded an Oscar favourite. There’s also been much publicity about the fact that the actors filmed their songs ‘live’ to camera, with an orchestra added in post-production. It’s a brilliant approach that adds enormously to the film’s strength because of the authenticity from the vocal performances. Anything else would have felt contrived. 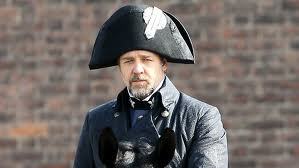 Much has also been said of Russell Crowe’s performance – that’s it’s sub-standard and there’s many an actor who would have been better cast in the role of Inspector Javert. Quite frankly, I didn’t mind Russell’s portrayal. He obviously doesn’t possess the same vocal talents as Jackman, but – and probably BECAUSE the actors sang live – I felt his performance had strength in it’s weakness – that the weakness he conveyed was that of his character, which made him all the more human and believable. If moments of doubt were seen in his eyes, I saw that as an expression of his character doubting the strength of his own convictions – not Crowe doubting the strength of his own voice. It is Jean Valjean who forces Javert to reassess all his beliefs, and surely we as an audience, must see this occurring if we are to ultimately believe the path Javert chooses that leads to his downfall. 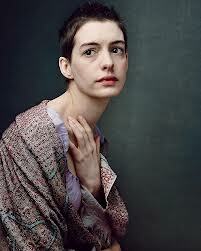 Anne Hathaway as Fantine is exceptional. Well deserving of all accolades she’s already received, Hathaway surprises with her ability. Passionate about the role, Hathaway reportedly threw herself into the part one hundred per cent, losing a lot of weight and her own hair as part of the process to achieve her remarkable performance. Is it possible to feel more despair than she conveys with those huge, dark eyes? Even her voice tears at the heart. Her version of ‘I Dreamed A Dream’ is powerful yet fragile, and I’m sure would have warranted a standing ovation had it been live theatre. It’s also pleasing to see theatre actors included. 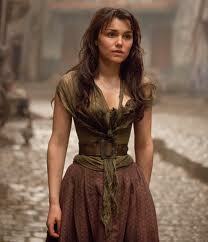 Samantha Barks, cast as Eponine, played the role for a year in London and is outstanding. The only problem with her work is that she is so utterly convincing, it’s almost hard to believe Marius would actually prefer Cosette (played by Amanda Seyfriend) above her. Although fortunately Marius, played by the wonderful Eddie Redmayne, is perfectly cast for the role and ultimately persuades us of his undying love for Cosette. I don’t think I’ve seen a truer expression of ‘young love’ lighting up the face of a male actor with more conviction in many years. My only criticism of the film would be about some of the overly dark and melodramatic set production, designed to give the audience a feel for the oppression and poverty experienced by those prior to the French Revolution in 1832. At times, (while we watch Fantine’s life fall apart) the shadows and lurid make-up give the film a pantomime-esque and surreal flavour. Perhaps the intention is to recreate a sense of theatre, but it subtracts from the real tragedy that is taking place. But that’s a minor issue when weighed up against the films achievements and that of its actors. This entry was posted in Opinion and tagged Amanda Seyfried, Anne Hathaway, Eddie Redmayne, Eponine, Fantine, French Revolution, Helena Bonham Carter, Hugh Jackman, Javert, Jean Valjean, Les Miserables, Les Miserables the film, Russell Crowe, Sacha Baron Cohen, Samantha Barks by JenniferHansen. Bookmark the permalink.